Discogs Staff posted 17 days ago. Last month, midwestern emo paragons American Football released their acclaimed third self-titled album. This triumph came almost 20 years after their debut LP hit shelves in September 1999 — and failed to light up the charts. The record didn’t generate much hype, and by 2000, they decided to call it quits. The then-trio probably thought that was it. It wasn’t. In the intervening two decades, the influence of American Football grew like a weed. Wave after wave of emo revivalists were drawn to the jazzy, post-rock vibes. The band’s profile had risen so much that Polyvinyl’s website crashed in 2014, when the label announced a reissue of LP1. The fervor inspired a reunion, which eventually became a full-fledged reformation. Now here we are in 2019, with American Football’s best album staring us in the face. I am biased because this is a record made by one of my best friends. Nevertheless, this is an absolutely brilliant and generally unknown and unheralded masterpiece. Es Tiempo is the brilliant, genre-defying debut album by brothers Jorge (guitars/keyboards/production) and Angel Ledezma (drums) and frontwoman Lupe Martinez (guitars/vocals). Jorge Ledezma produced and self-funded the album over its five-year production at studios in Chicago and Sweden. 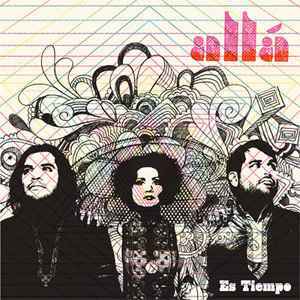 Sung entirely in Spanish, the album was a statement from the all-Mexican-American group about feeling “other” in the mostly white world of indie rock. The album of beautiful, layered, experimental pop pulls influences from a variety of sources and genres: from the ’60s pocket symphonies of The Beach Boys to ’70s krautrock via Can/Neu!/Faust/Kraftwerk, Chicago post-rock, the Tropicália of Os Mutantes, Motown, and more. Somehow, rather than sounding dis-jointed, all these influences come together in a lovely way that only a true music nerd could grasp, but all could appreciate. Note: I also happen to play guitar on a couple tracks, and Steve Lamos of American Football also contributed drums to a few tracks. This brilliant one-off record led by Bundy K. Brown of Tortoise fame, was recorded in only three days at Idful Music Corporation in Chicago and feels like a largely improvised, live-in-the-room recording with additional layers and production added after to the basic tracks. James Warden’s fluid, melodic guitar playing was definitely an influence in the fledgling American Football. Doug Scharin (of Rex, Him, and June of 44 fame) is phenomenal on drums. 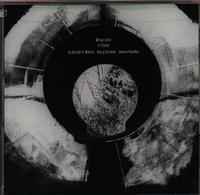 I personally prefer this unheralded gem to most other post-rock of the day. Michael Feuerstack’s first solo album of lo-fi, 4-track, bedroom pop is still somehow largely unknown. 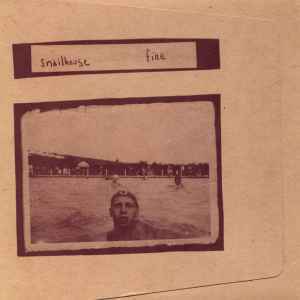 Snailhouse was mining the same territory as Elliott Smith at around the same time, but unlike Smith’s debut (which was a little spotty), Feuerstack’s came out fully formed. This record was later reissued by our friend Bob Nanna’s Grand Theft Autumn, but it failed to capture the audience it deserved. I can hear the influence of this record on Mike’s early Owen records. If you like Elliott Smith, Owen, Smog, or Nick Drake, you’ll love this record. I once described this record to my brother-in-law as the best record Neil Young never made. That was a good line, but it doesn’t really do justice to this amazing record. Now this record has a bit more acclaim and following than some of the others I’ve mentioned, but it’s still relatively unappreciated. 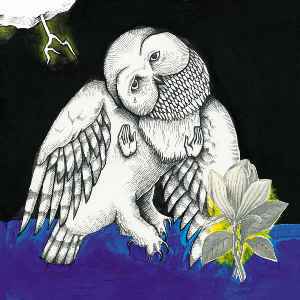 Jason Molina has a vast and great back catalog, but this one (the last he would make under the Songs: Ohia moniker) is arguably his greatest moment. He would adopt the name of this record as the new band name for several more great albums after this, but this is the one I find myself going back to most. Haunting, brilliant songwriting, and Albini nails the live-in-the-room feel (and the drums sound great). 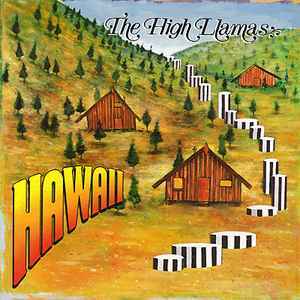 There were a lot of bands in the mid-to-late ’90s that were mining ’60s Beatles/Beach Boys inspired music, but none were as elaborate and successful (musically, not commercially) as The High Llamas. Hawaii was their homage to The Beach Boys’ famously disastrous (and unreleased at the time) Smile album. Hawaii is an insanely ambitious album — which at 29 tracks over 75 minutes is a lot to digest, but masterfully produced and arranged. It’s an album that is one of the last of its kind, and likely never to be produced again, as labels no longer have the money to dedicate to such fully-orchestrated productions. This article was produced in partnership with Polyvinyl Records. I love the Directions album. Glad to see it recognized. I’m pretty much a fan of anything anyone from tortoise has put their hands on. Amazing musicians.